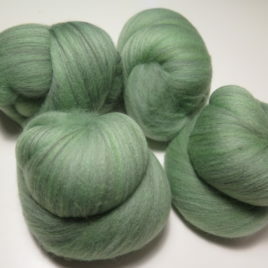 This 4.3-oz set of very fluffy batts is carded from superwash bfl and superwash merino, with smaller quantities of tencel and soy silk. 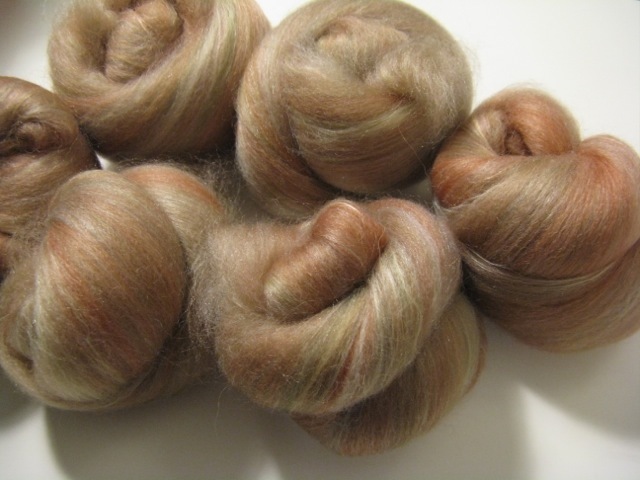 Inspired by a beautiful church near a bike path I like, these batts are a terra-cotta color with touches of mossy green and cream. 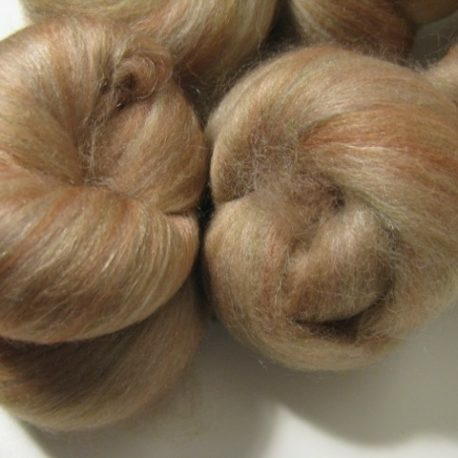 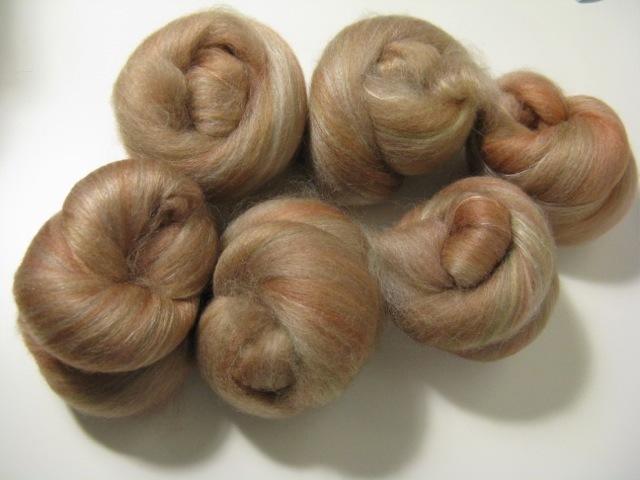 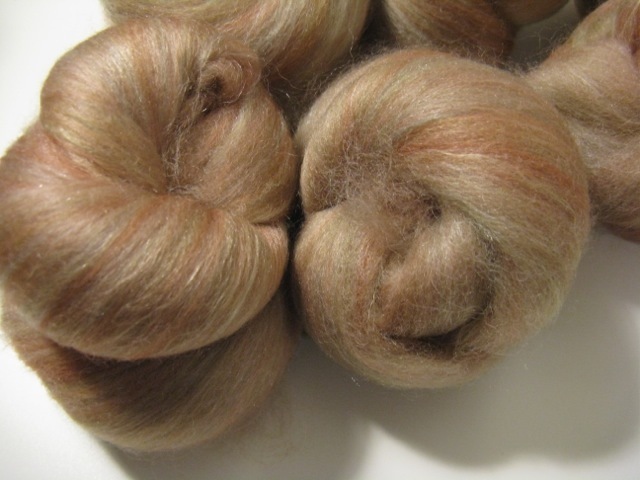 The BFL provides shine, the tencel provides a hint of sparkle, and the soy silk provides a few streaks of matte cream. 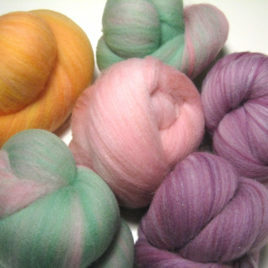 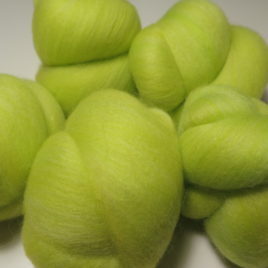 These batts should spin up smoothly and near-effortlessly into very soft yarn. 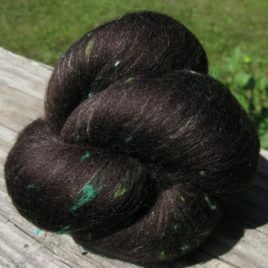 They’d be great for socks or mittens.